Upcycling – creating new and useful items out of rubbish – is very on-trend right now, and why not? The recession means many of us are tightening our belts, and making gorgeous shabby-chic style home accessories with a tiny price tag has never been more attractive. Here’s our top ten favourite upcycles from around the web. Dig out those unwanted household items, waste products or charity shop salvages and repurpose them for your kitchen! There are all sorts of upcycling possibilities for your old vinyls: cake stands, clocks, retro wall art. But this is our favourite – and it’s super easy to make. All you need is a record, a colander and a baking tray, and hey presto, a lovely retro fruit bowl! Get the full instructions from our friends at Upcycle That here. Ok, this one probably isn’t that low-cost, as steamer trunks and vintage suitcases tend to sell for a fair price. (Still, it’s worth checking charity and vintage shops – or even having a rummage in the loft.) But this is a very stylish bar, and with the right tools and a bit of DIY knowhow you could create something similar for your home. 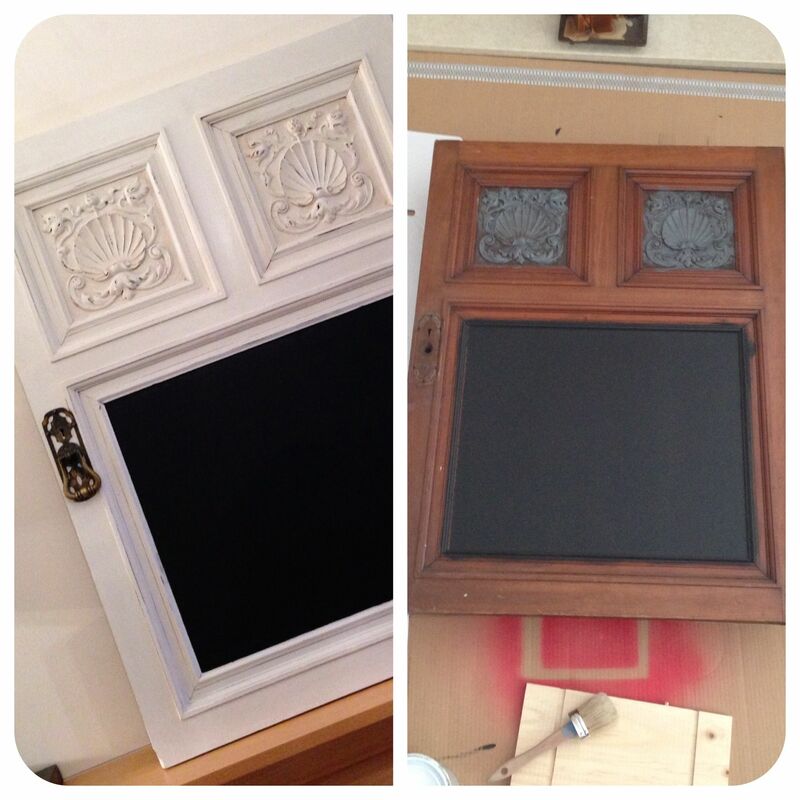 Chalkboard paint can be used to upcycle a variety of items into chic chalkboards: old doors and windows, silver trays, even ornate picture frames. They look great and they’re useful for keeping on top of your shopping list too! Find out more here. This looks great and is ever so simple. Just find a few mismatched chairs around the house or in charity shops, paint them all the same colour and enjoy a gorgeous offbeat effect. There’s lots you can do with cutlery apart from eat! Why not turn your old forks into pretty coat hooks, or make them into keyrings? This idea is straight out of Alice in Wonderland – gorgeous bone china teacups turned into an eye-catching candleabra centrepiece. And there are all sorts of other ways to repurpose old teacups – take a look at this post on Architecture Art Design for more ideas. A cast-iron skillet can make an attractive kitchen clock when it’s outlived its usefulness on the hob. These candysticks are a great way of giving new life to preloved vintage items. The old-style light bulbs are sadly no more, but if you still have some lying around then why not repurpose them as oil lamps? Find out how to make your own here.